Clare got in touch with me to create a new media pack pdf file to send to brands and PRs interested in working with her. 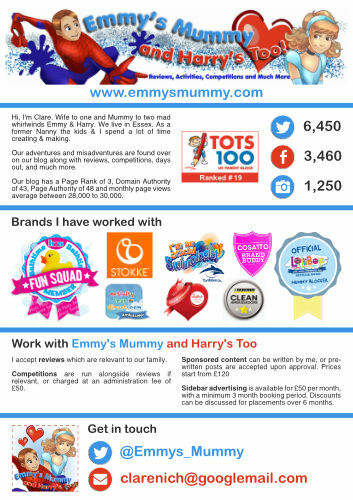 The media pack I created includes a short introduction to Clare and her blog, key statistics, information on how she works with brands, and contact information. 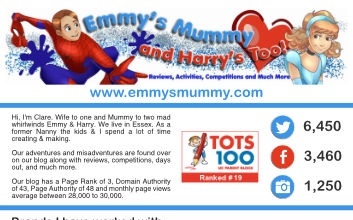 We included ambassador badges and logos for brands she works with, and I used graphics, colours & fonts from her blog so that the pack is instantly recognisable as accompanying her site.